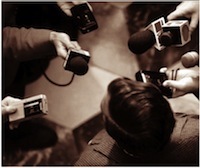 December 5, 2012 /3BL Media/ - A celebrity spokesperson “dethroned”? A good cause “infected” by politics? A cause marketing program exposed as misleading? Crises can take many forms: those that could have been avoided, those that should have been handled better and the few that were managed so well we rarely hear about them. Because you're the type of cause marketer that likes to be proactively prepared for anything, join Cone Communications’ Chief Reputation Officer Mike Lawrence, and Executive Vice President Alison DaSilva as they as they provide tips on how to plan cause programs and relationships that minimize crisis risk, and how to communicate- both inside your organization and outside- when a crisis strikes. A celebrity spokesperson “dethroned”? A good cause “infected” by politics? A cause marketing program exposed as misleading? Crises can take many forms: those that could have been avoided, those that should have been handled better and the few that were managed so well we rarely hear about them. Join Cone Communications’ Chief Reputation Officer Mike Lawrence, and Executive Vice President Alison DaSilva as they as they provide tips on how to plan cause programs and relationships that minimize crisis risk, and how to communicate- both inside your organization and outside- when a crisis strikes.